Autumn days in Central Victoria are a great time to experience the outdoors. 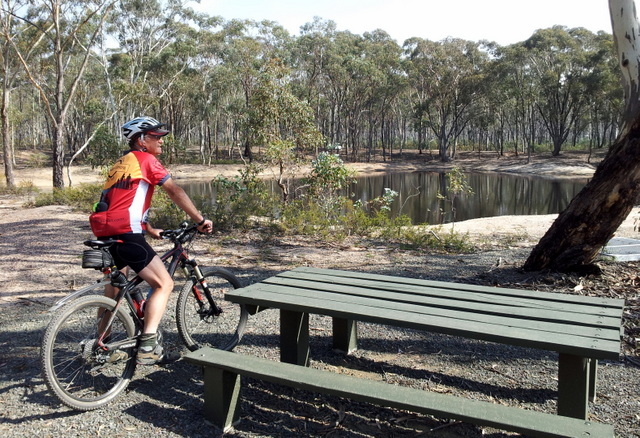 A new section of the extending O’Keefe Rail Trail meanders through the Knowsley Forest, one of the Bendigo districts managed box-iron bark forests. Escaping busy suburbia into this forest environment, you may see wallabies bounding across the forest floor, the chance of observing birds of prey like a square tailed Kite, a Black Falcon or Grey Goshawk circling overhead, or just taking in the sights and smells of this eucalypt forest. At 1196 ha, this forest becomes home during the autumn and winter to the Swift Parrot, one of Australia’s most endangered birds that migrates from Tasmania and is known to take up residence in the Knowsley Forest. 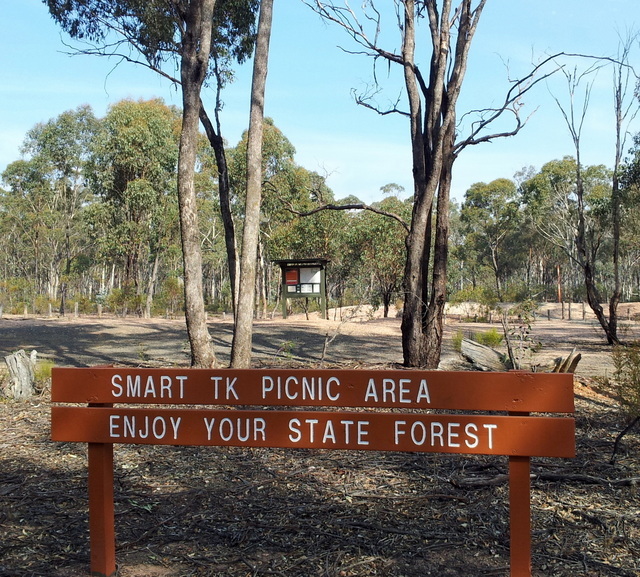 The Smart Track Picnic Area is within the Knowsley Forest, a place to divert from the main O’Keefe Rail Trail for a rest stop from cycling or walking the rail trail. Plan to use the provided tables and seats facilities (be sure to take away your rubbish), listen to the sounds of the forest, or just watch the reflections in the dam. Note: no potable water or toilet facilities are provided, please observe your route for returning to the main rail trail. For more information about visiting this and other State forests, go to the DELWP web site Visiting Parks and Forests. Note: For updates on the O’Keefe Rail Trail’s new route and sections that are currently closed to the general public (due to construction activity), check the information on the Trail route notes page.